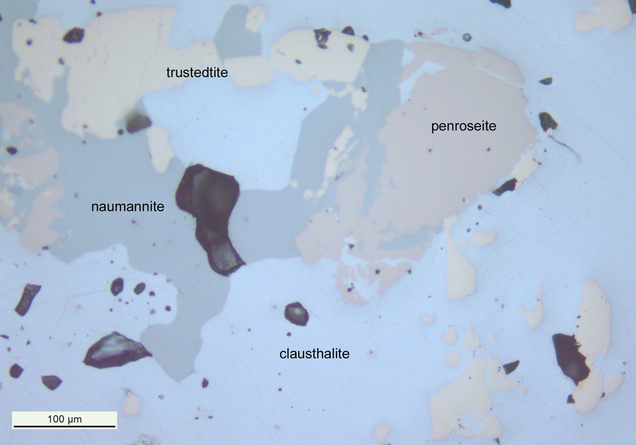 Trüstedtite: Mineral information, data and localities. 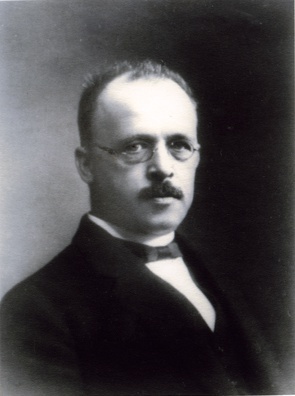 Named by Y. Vuorelainen, A. Huhma, and A. Häkli in 1964 in honor of Otto Alexander Paul Trüstedt (30 March 1866, Paris, France - 11 September 1929, Helsinki, Finland) who developed the prospecting methods leading to the discovery of the Outokumpu deposit (Finland). This page provides mineralogical data about Trüstedtite. Vuorelainen, Y., Huhma, A., Häkli, A. (1964) Sederholmite, wilkmanite, kullerudite, mäkinenite, and trüstedtite, five new nickel selenide minerals. Comptes Rendus de la Société Géologique de Finlande: 36: 113-125. Fleischer, M. (1965) New mineral names. American Mineralogist: 50: 519-522.